Whiskey galore: But has the renaissance reached a peak? The epic battle for Irish Distillers, then the monopoly producer of Irish whiskey, finally drew to a close 30 years ago this month with Pernod Ricard defeating GrandMet (now part of Diageo). In 1988 Irish whiskey was very much the also-ran of the brown spirits market. After almost a century of decline, annual sales were down to about two million 12-bottle cases. While the creation of Irish Distillers in 1966 had almost certainly saved Irish whiskey from extinction, the company lacked the heft to compete with the international drinks giants in overseas markets - more than 95pc of Irish whiskey is exported. What a difference 30 years can make. 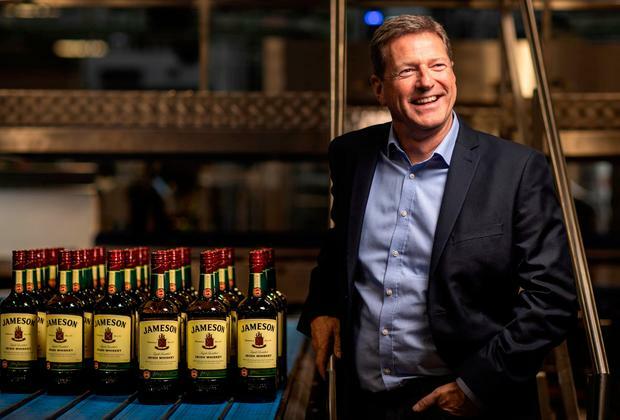 Under the ownership of Pernod Ricard, sales of Jameson hit 7.3 million cases in the year to June 30, 2018. Scotch whisky producer William Grant purchased Tullamore Dew from C&C in 2010. Under its ownership annual sales of Tullamore Dew increased to 1.2 million cases in 2017 and are expected to hit 1.4 million cases this year, making it the second million-case Irish whiskey brand. This year total sales of Irish whiskey are forecast to hit about 10.5 million cases, up 14pc on 2017, and a more than five-fold increase on the 1988 figure. At the same time as Irish whiskey sales have been soaring, Irish Distillers' previous production monopoly has been challenged. First into the ring was John Teeling's Cooley Distillery in 1987. Tullamore Dew, which had previously been produced by Irish Distillers, opened its own distillery in Tullamore in 2014 and last week the Blackwater Distillery in Cappoquin, Co Waterford, became the 21st distillery to open its doors. With its main focus on its Jameson mega-brand, now the fourth best-selling whisk(e)y in the world, Pernod Ricard has been gradually selling off its secondary Irish whiskey brands. It sold Tullamore Dew to C&C in 1994, Bushmills to Diageo (which in turn sold it to Mexican spirits producer Jose Cuervo in 2014) in 2005 and Paddy to US drinks company Sazerac in 2016. So with sales growing strongly, the number of distillers increasing and ownership of the major brands more widely spread what could possibly go wrong? The rapid growth in the number of distilleries has inevitably stoked fears that whiskey distilling is experiencing something of a bubble and that not all of the new entrants will survive. Last month it was announced that the proposed £12m Quiet Man distillery in Derry would not now be going ahead. There have also been reports of other proposed distillery projects experiencing funding difficulties. Whiskey distilling is extremely capital-intensive. Not alone do the investors have to finance the distillery itself, as Irish whiskey must be matured for at least three years, they then have to go out and get the money to fund their stocks. What this means is that investors in even a modest-sized distillery will have to get their hands on at least €10m before they can sell a single drop of the hard stuff. In order to bridge this gap many of the new distilleries, including Blackwater, also produce gin, which unlike whiskey can be sold within a few weeks of being distilled. Cash-strapped distillers can also stop distilling temporarily, something which Cooley did for two years during the 1990s, secure in the knowledge that the value of their stocks is continuing to appreciate. Blackwater co-founder Peter Mulryan says that his distillery already has a buoyant gin business, producing its own Blackwater gin and the Boyle's gin brand for Aldi. He believes that not alone will the gin business bring in revenue while Blackwater is waiting for its whiskey stocks to mature, but it also gives it the opportunity to develop relationships with customers who will also want to buy its whiskey three years from now. Although any revenue from gin is welcome, the rationale for most of these new distilleries is, of course, whiskey. The new distillers are attracted by projections of continued strong growth in the Irish whiskey category. At this year's 14pc growth rate sales of Irish whiskey would more than double to 23 million cases by 2024. Even annual sales growth of "only" 10pc would push annual sales up to almost 19 million cases. Which of course begs the question: How realistic are these projections? While 10.5 million cases (126 million bottles) might seem like an awful lot of whiskey it pales beside other whiskey producers such as Scotch (95 million cases), Bourbon (40 million) and Canadian (20 million). Even if these projections prove to be accurate, 2024 sales of Irish whiskey would still only reach those of Canadian whisky today. Irish Distillers was taken by surprise by the very strong growth in the demand for Jameson in recent years. This surge in demand means that it is short of both the stocks of older whiskeys and the distilling capacity which it will need to meet continued sales growth. This was despite completing a €100m project at its Midleton distillery, that doubled production, in 2013. With the expanded distillery now running at close to full capacity, Irish Distillers plans to invest more than €150m in its whiskey sites in Cork and Dublin. Of that €130m will go into expanding its distillery in Midleton. Tullamore Dew has already cranked up production capacity at its new distillery. When it first opened in 2014 it had an annual capacity of 1.5 million cases. Following further investment at the site, production capacity is now "close to four million cases", according to brand ambassador John Quinn. The United States remains by far the largest market for Irish whiskey with 4.1 million cases, 44pc of the total, going Stateside in 2017. The island of Ireland is next at about 600,000 cases (6.5pc). Other big markets include Russia, France, the rest of the UK, Germany and South Africa, each of which took between 340,000 and 400,000 cases last year (a total of 1.84 million cases or 20pc). In an unwelcome compliment to its success, counterfeit Irish whiskey has begun to appear in a number of markets. William Lavelle, head of the Irish Whiskey Association, which polices the integrity of Irish whiskey, says that his organisation is pursuing legal action against counterfeiters in a number of countries. With the exception of the French market, where Irish whiskey sales were flat in 2017, sales in all the major export markets grew strongly last year with sales in the UK up 12.5pc and Russian sales jumping by almost 20pc. A note of caution may be in order. While Irish whiskey has so far remained unaffected by either the growing transatlantic trade tensions or tightening sanctions against Russia, how long can our run of good luck last? All of which means that Irish whiskey needs to develop new markets so as to reduce its exposure to any imposition of import tariffs or duties in its main markets. "The future of Irish whiskey is in Africa and Asia," says Teeling, who after selling Cooley to American spirits producer Jim Beam in 2012 has re-entered the Irish whiskey market with his Great Northern Distillery project. With the exception of South Africa, Irish whiskey has virtually no presence on the African continent while it has yet to make an impact in any of the major Asian markets. Some of these Asian markets are enormous. 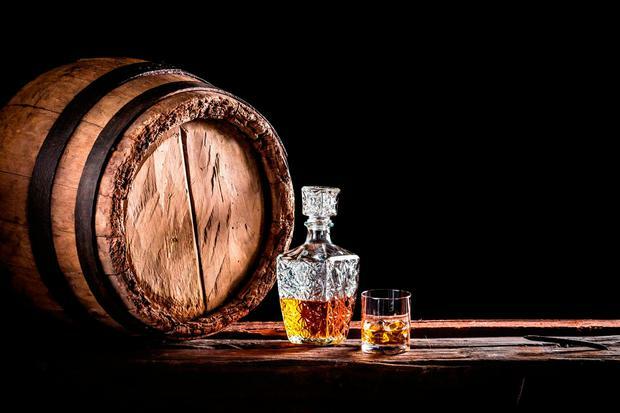 India is by far the world's largest whisk(e)y market consuming the equivalent of more than 172 million cases, virtually all of which is produced domestically, a year. "If we got just 1pc of that market then that's over one million extra cases," says Teeling. While the demand for all of the extra Irish whiskey distilling capacity coming on stream - most of the new distilleries are very small - will almost certainly be there, the challenge will be how to get these new whiskeys to market. "Whiskey doesn't sell itself. There will be a need to invest heavily in selling the liquid," warns Bord Bia alcohol beverage sector manager Denise Murphy. Of course, branding isn't the only route to market for these new distilleries. Teeling's Great Northern is concentrating on supplying bulk whiskey to other brands and own label to retailers. Another possible route to market for the smaller distillers is through selling in bulk to the larger, branded producers as happens in Scotland. Scotland has 137 distilleries. While most of these distilleries produce their own house brands, most of them are unknown to all but the most dedicated Scotch whisky aficionados with the vast bulk of what they produce going into the big, blended brands. Could the development of scores of new distilleries in this country create an eco-system that results in something similar happening in Ireland? Not according to Blackwater's Mulryan. "It is very different in Scotland. The distillers that swap stocks are owned by the same multinational. We are recovering from monopoly." Tullamore Dew's Quinn believes that, while such stock-swapping is not the motivation behind the development of the new distilleries, "it may happen organically" over time. Meanwhile, Irish Distillers, still very much the 800lb gorilla of the category with a 70pc-plus market share, remains optimistic about the prospects for Irish whiskey and unworried about the new arrivals. "Irish whiskey is in the middle of a global renaissance that has seen the category become the fastest-growing premium spirit in the world," says Irish Distillers chairman and chief executive Conor McQuaid. "As an industry, we work together to promote and protect the reputation of one of Ireland's best-loved exports. We believe that Irish whiskey's popularity has the potential to grow from a relatively small category globally and take market share from traditional competitors like Scotch and American whiskey, while giving more choice to consumers. "We very much welcome Blackwater Distillery and all new distilleries to the exciting world of Irish whiskey."